How Fast Was The CPU In The Original IBM PC? Today, we measure CPU performance in terms of GHz, multi-cores, and a plethora of additional performance measurements that simply didn’t exist back in the early days of personal computing. When the original IBM personal computer, the IBM PC 5150, hit the market in August of 1981, nobody talked about it being a single core machine (because dual-core PCs wouldn’t arrive for another twenty odd years). The machines shipped with an Intel 8088 CPU, humming along at a then-quite-mighty 4.77 MHz. 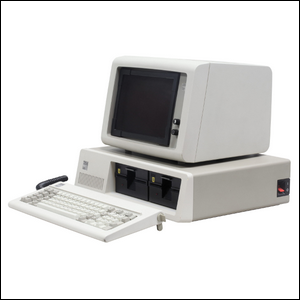 Power users had the option to upgrade their machines with the addition of a 4 MHz Intel 8087 math coprocessor that offered significant performance boosts by allowing the operating system to offload computations. The base model sported 64 kB of onboard memory and could support up to 256 kB if you maxed out the memory expansion slots. There was no internal hard drive on the first model and the operating system and any applications used had to be loaded from 5.25″ floppy disks or cassette tapes. Interestingly, one area of design that was remarkably progressive for the time was the video display system. The machines shipped with a simple CGA (Color Graphics Adapter) video card that could be hooked up to either an RGBi computer monitor (model 5153) or an NTSC television. Additionally, you could add an MDA card for a simple dual monitor display (if your applications supported it). For instance, AutoCAD supported using a color monitor for the graphic design side of the application and a second monochrome monitor (model 5151) for all the menus—not unlike modern editing suites where you can park your tool palettes on one monitor and your work space on another. Image courtesy Rama & Musée Bolo/Wikipedia.